An overview of UDRIVE, an important naturalistic driving study assessing the ‘real behaviour’ of road users, will be delivered to delegates at the 2016 National Road Safety Conference. The presentation will be delivered by Ruth Welsh, senior research associate at Loughborough University, who is involved with the study which is described as the first of its kind. Ruth Welsh’s presentation will form part of the ‘Road user psychology’ session which will also feature presentations by Dr Samantha Jamson and Elizabeth Box. UDRIVE, a €10m collaborative study funded by the European Commission, will observe the various aspects of driver and rider behaviour including acceleration, lane position, speed, eye movements, traffic densities and road conditions. The experiment involves monitoring cars, trucks and scooters for up to 21 months (until April 2017) to collect data whenever the vehicle is in motion; in daylight, darkness and all weather conditions. The aim is to gain an ‘accurate and in-depth understanding of actual road user behaviour in a natural setting and analyse the relationship between driver/rider, vehicle, road and other traffic in a range of situations’. Ruth Welsh’s presentation will outline the scope, aims, methods and expected impact of the project which will collect data from 266 drivers and riders of passenger cars, trucks and scooters. If available, early analysis results will also be presented. Ruth has been undertaking research in the field of transport safety for 20 years, during which time she has lead projects on behalf of the DfT and the European Commission as well as commercial clients. Her areas of particular interest include accident data analysis and data collected from driving studies in support of vehicle systems design and policy making. Ruth’s recent work has contributed to new test design for Euro NCAP and the development of protocols for Field Operational Tests and Naturalistic Driving Studies in order to better understand driver behaviour under real world driving conditions. 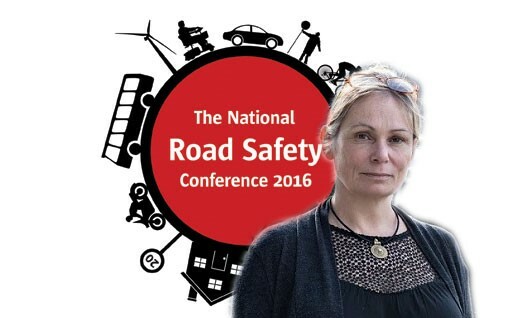 The 2016 National Road Safety Conference is being hosted by Road Safety GB South West Region in Bristol on 15-16 November and is co-sponsored by Colas, Jenoptik Traffic Solutions UK and Insure The Box. More than 200 people have already registered to attend the event and 16 companies will participate in the exhibition which runs alongside the conference. The agenda includes sessions focusing on road user psychology, public health and road safety, and social marketing, social media and engagement.